Plants are growing even though it’s snowing. One for the onions, one for the carrots, or something like that. Really, though I’m a little anxious to get planting, this weather has been a really good things for our future fruit this year. Last year at this time, everything was blooming, and as a result we were left with out some of our favorite fruits including service berries, cherries and grapes. Other trees that took a hit last year were the walnuts. Mother nature knows what she is doing, and I feel it’s going to be a great year for some of the early bearing fruits….can’t wait! 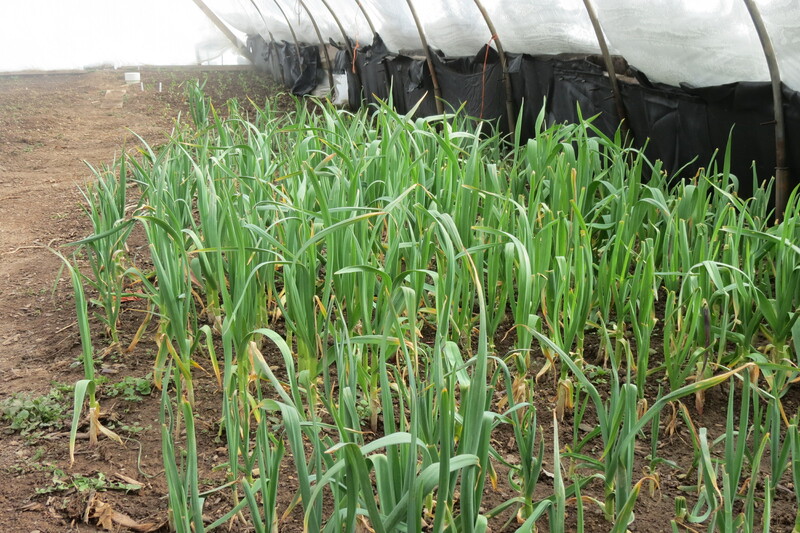 Garlic is growing in the cold frame along with some other tasty treats…. like cauliflower! 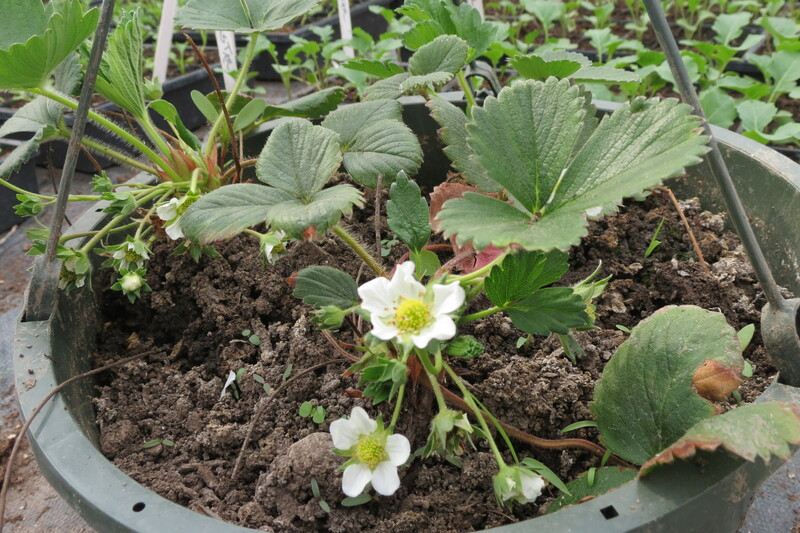 Strawberries are blooming in the greenhouse. It takes an average of 21 days from bloom to berry. 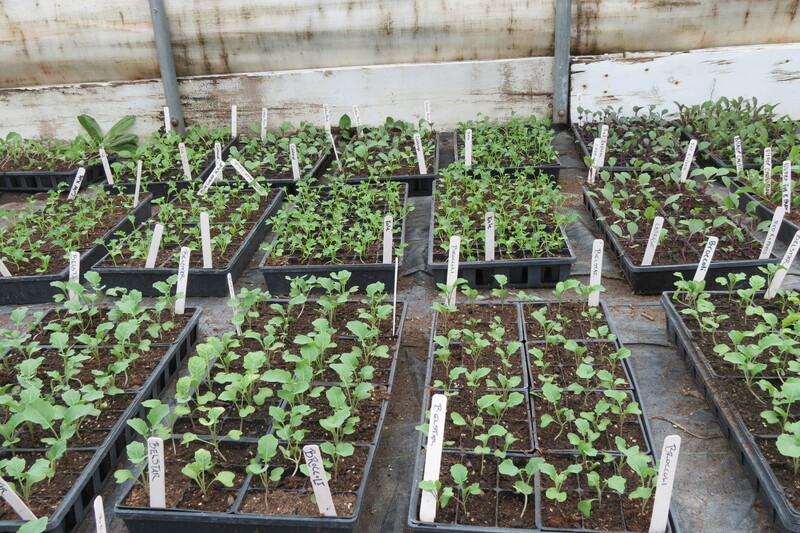 Cabbage, Kale, Broccoli and Kohlrabi patiently wait for the ground to warm up so they can go outside. 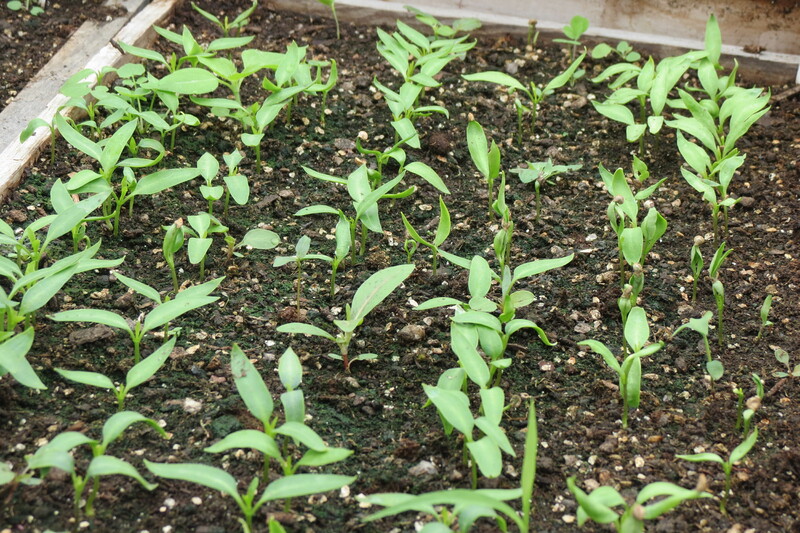 The Pepper plants will need to wait longer, but they are not ready to go yet. I really am looking forward to a great season full of yumminess! 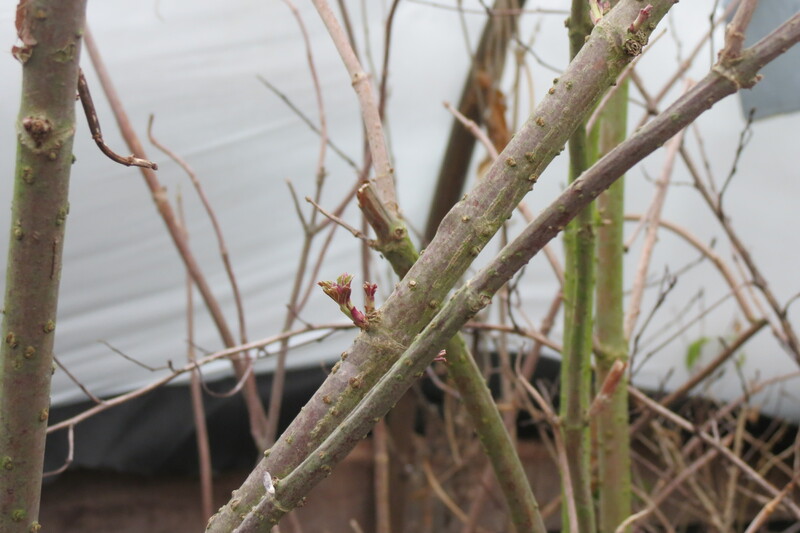 I’m so eager for spring…but I know you’re right, this is really better for the plants. Nice to see some green even if it is indoors! 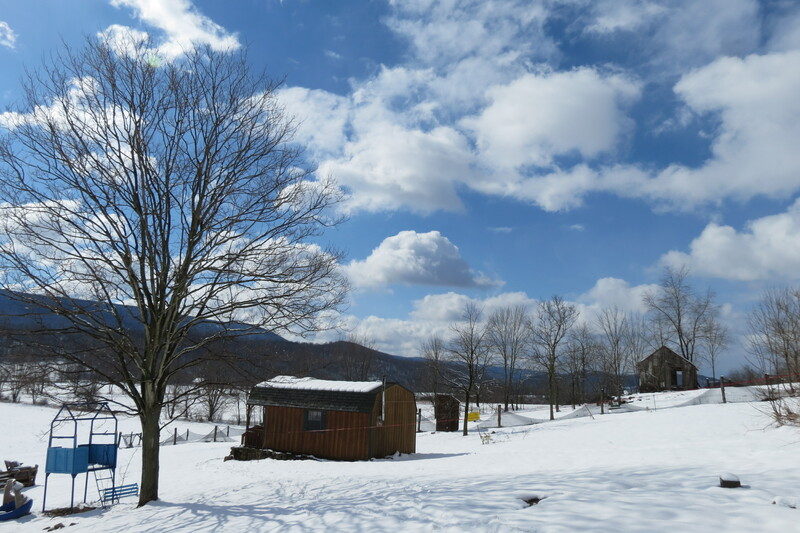 Your growing season is so different from ours. We just finished off our last cauliflower and now we’re think into greens and carrots and garlic. Tammy, We have had an unusually late bombardment of Monday snow storms, until thiss week. Even until last week, our boys had school off for snow days! 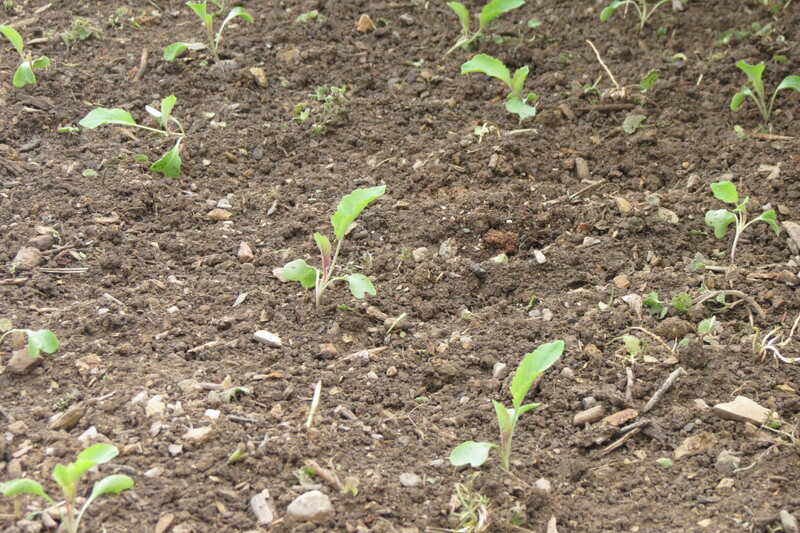 I couldn’t imagine picking peas right now, we are just now planting peas, though a couple of weeks later than normal. The earliest I have picked peas was on Mothers Day a couple of years ago. I am a little jealous of your warm weather, but I do love our December snows, I could do without the snow in April.